Is home to the United States’ only living coral barrier reef. 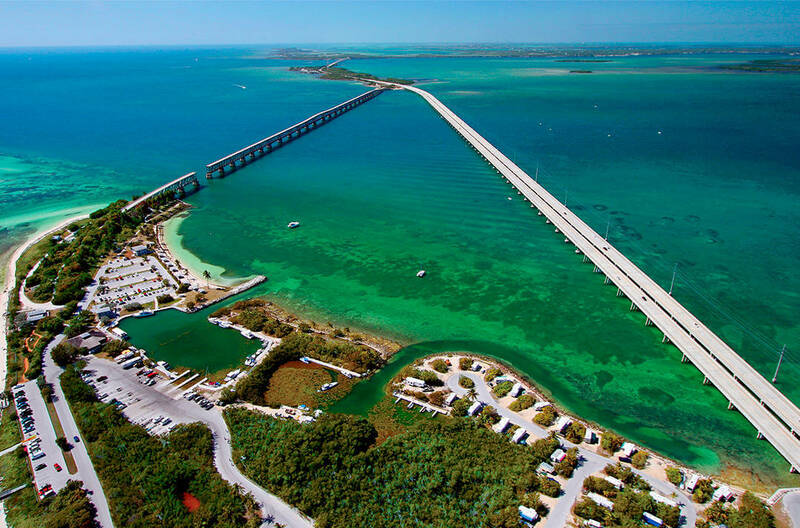 A ton of marine and botanical life are found in the keys and impressive picturesque vistas. Key West is the last of the islands and the most highly populated. It is only 90 miles from Cuba, making it the southernmost point of the United States. Key West has an undeniable tropical, island vibe complete with powdery sand, clear blue waters and picturesque sunsets. With the first permanent settlement in the 1820’s, Key West is rich in history hosting a variety of local historic tours, and has tons of local artistry and infamous dining options ranging from five-star gourmet to raw bars. The natural “go with the flow” attitude of the locals coupled with the buzzing nightlife and seemingly endless happy hour on Duval Street ensures its visitors are guaranteed to have a time to remember. Islamorada is only a mere 90 minutes south of Miami and is known as the Sport fishing capital of the world. Although fishing is the main activity in Islamorada, there are many other activities to do If you want to relax on the water all day, you may love to stop by a sandbar where water is crystal clear and knee deep, enjoying a drink with friends, family, or other friendly boaters. You will find a great sandbar located off the Windley and Upper Matecumbe Keys, and of course, it is only accessible by boat! You will have a blast fishing or diving to explore the colorful reefs. Visitors will be sure to find many restaurants where you can park your boat, and go for a nice lunch or dinner. Cruising around, you may even have the chance to see sea turtles and wild dolphins. Key Largo is the largest section of the Keys, and is also known as ‘The Diving Capital of the World’ due to a vast living coral reef that is located just a few miles off shore. John Pennekamp Coral Reef State Park was the first undersea park built in the United States where scuba diving, snorkeling, exploring a Spanish shipwreck, and fishing are just a few of the popular excursions possible here. Key largo has a laid back charm with tons of delicious local dining options. Noted for their local fisheries with an abundance of fresh local fish and shellfish.